We are pleased to advise that two candidates to become our next vicar have now been short listed. One is unfortunately unable to attend the evening social originally planned for 12th December . 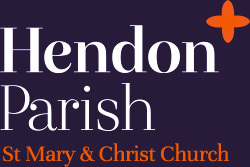 We have therefore decided to replace it with a Parish Breakfast from 8.30 am on 13th December, giving all parishioners the opportunity to meet the candidates. We will also be joined by the interview panel. This breakfast will be followed by Morning Prayer - All Welcome! Candidate Interviews and a tour of the parish, including SMSJ School, will continue through the day.